Rewarding your outstanding team members for their hard work, achievements, and years of service deepens your relationship with your employees, maintains a positive company culture, and helps improve employee satisfaction and retention. Here at our Minneapolis awards and trophies shop, we work with you to create a custom solution for you and your team. You couldn’t do what you do without your phenomenal team and loyal customers. Broadway Awards helps you support and reward your team and build your brand with top-quality awards and recognition trophies. We’ve been a resource for corporate recognition, employee gifts, and promotional products since 1989. We help organizations in Minneapolis, Robbinsdale, Crystal, New Hope, Plymouth, Brooklyn Park, Champlin - really all of the Twin Cities, the Midwest, across Minnesota and the whole country recognize outstanding team players, show appreciation for employees, clients, and volunteers, while promoting their brands. Promoting your products, services, and brand is about more than just being seen. It’s also about being remembered when the time comes for your prospects to buy. We’ve got thousands of promotional products and company swag ideas to help you stand out in the crowd and stay top of mind. Choose from pens, mugs, totes, post its, water bottles, travel mugs and other perennial favorites, or not sure what you are looking for? Let us help you find and design something! ...and handed the reins over to daughter Annette in 2008. Though the shop has moved locations around Minnepolis over the past three decades, we continue to operate on West Broadway Avenue in Robbinsdale, Minnesota, a block away from the iconic baby-blue water tower and just a half-mile off Highway 100. Annette and her son Cody are two of the friendly team members who will work with you today. Although he’s retired, Dave still manages some of the books. 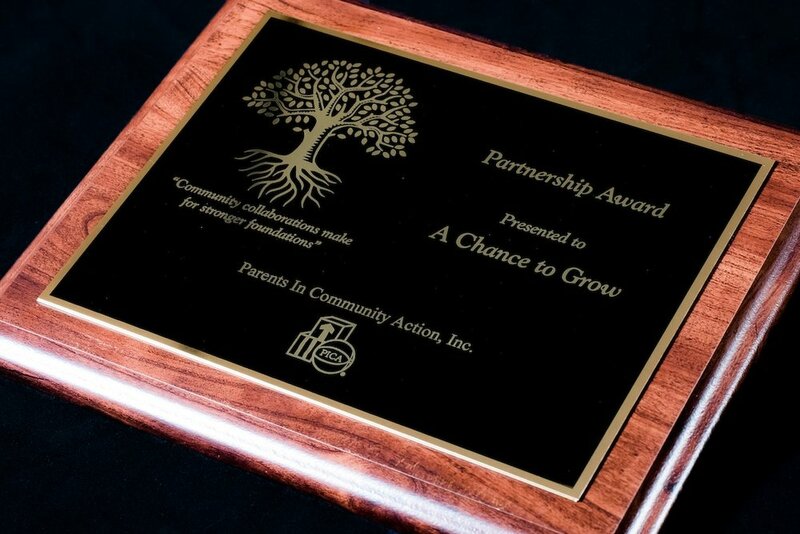 ...as they did in 1989: awards and promotional products for businesses large and small, nonprofits, and community organizations, including service groups and law enforcement departments. As always, the Broadway Awards team is committed to excellent, personal customer service that Dave and Bev built the company on. AT MINNEAPOLIS, MN BROADWAY AWARDS, WE VALUE OUR LONGSTANDING RELATIONSHIPS WITH OUR CUSTOMERS..
...above and beyond our awards expertise, our product know-how, and our promotional products knowledge, we love helping our customers. Whether you're a Fortune 500 company or a local fantasy sports league, we know you expect personal customer service, custom product design, communication through the ordering process, and speedy production turnaround and shipping. Our commitment to service is what keeps our loyal clients coming back year after year for their awards and promotional products.